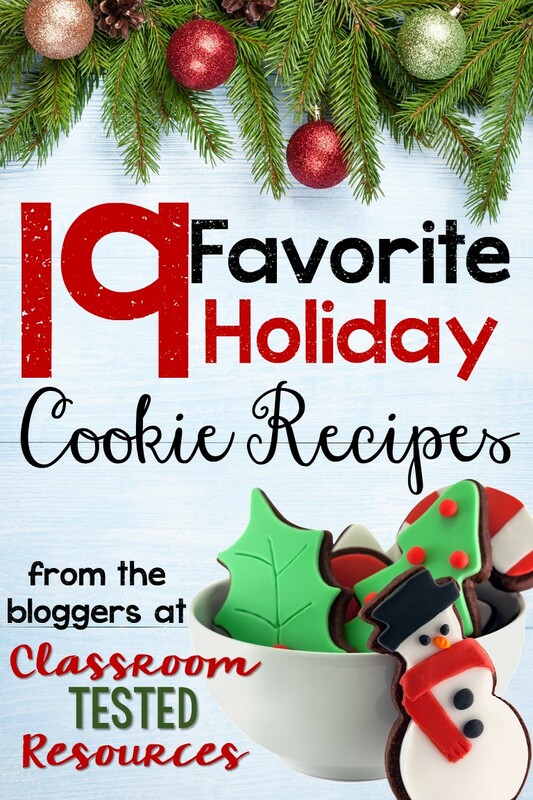 I’m excited to link up with some fabulous bloggers at Classroom Tested Resources to bring you some delicious cookie recipes! My recipe will be one that is super popular in my house! They are a sweet no-bake cookie and they are really easy to make! 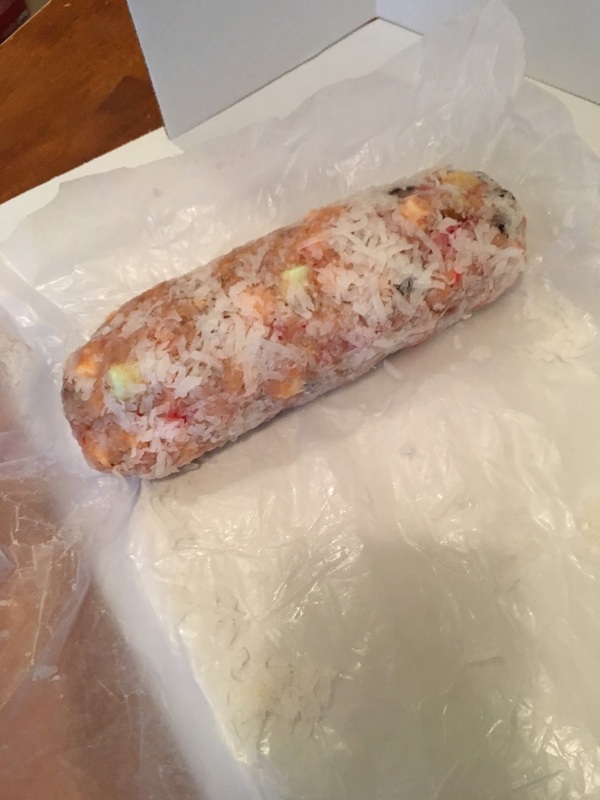 You just make a cookie “dough” and shape it into logs that you wrap in waxed paper. The joke at our house is always that we each need a whole roll to ourselves – forget slicing them into cookies! We will come to mom’s house and see the rolls and comment “here is my roll – I don’t know what the rest of you are going to eat!” They are addicting! 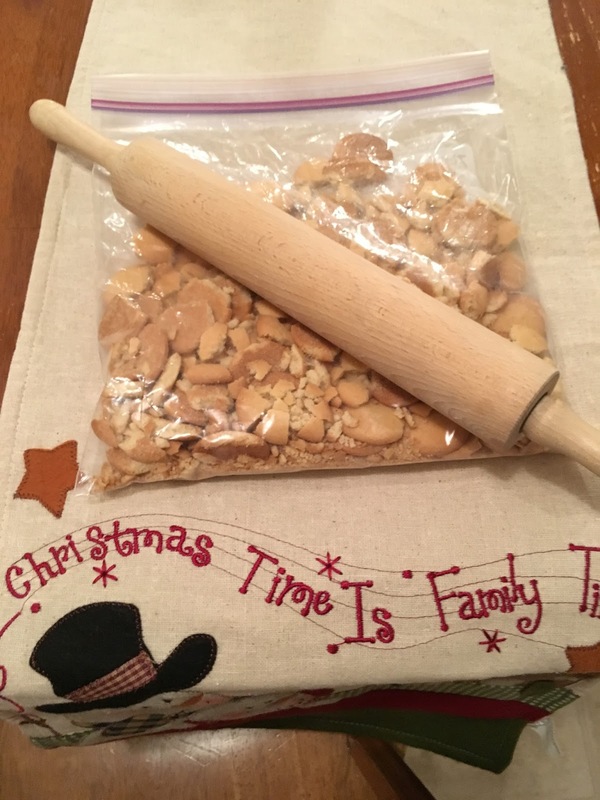 This recipe is from my Nana. We started calling her Nana Betty when my mom became a Nana and there were two Nanas around. Her real name was Marjorie, but she went by Betty. 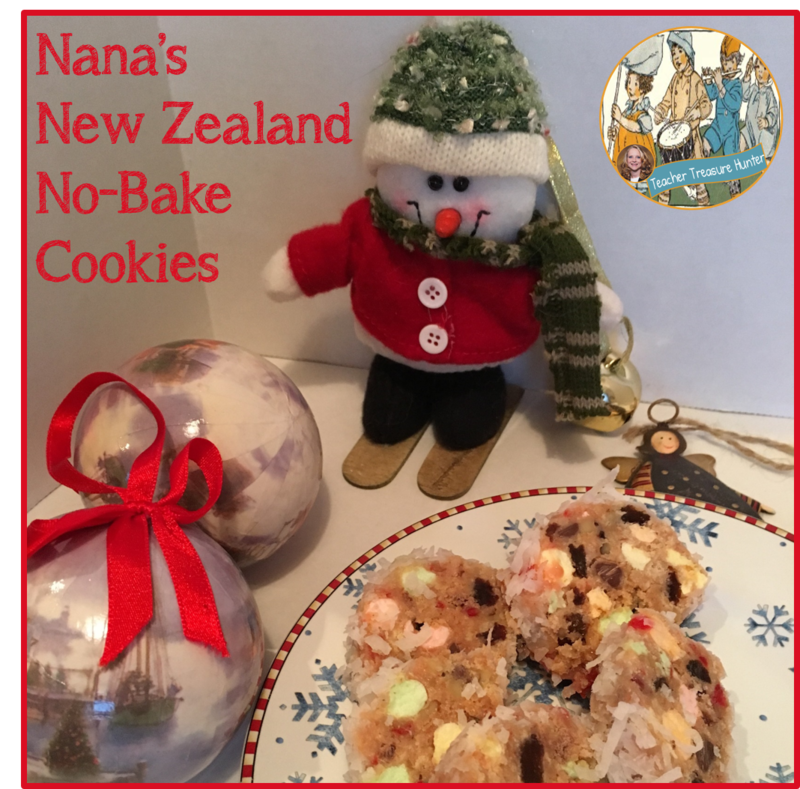 She grew up in New Zealand — hence our name for the cookies. I have no idea if they are common there or just a family recipe. 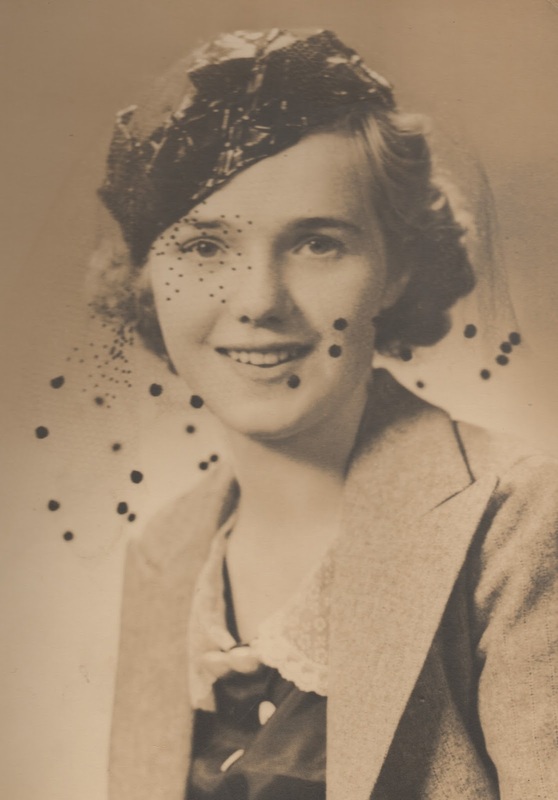 Nana married and moved to Minnesota where she raised 3 children. 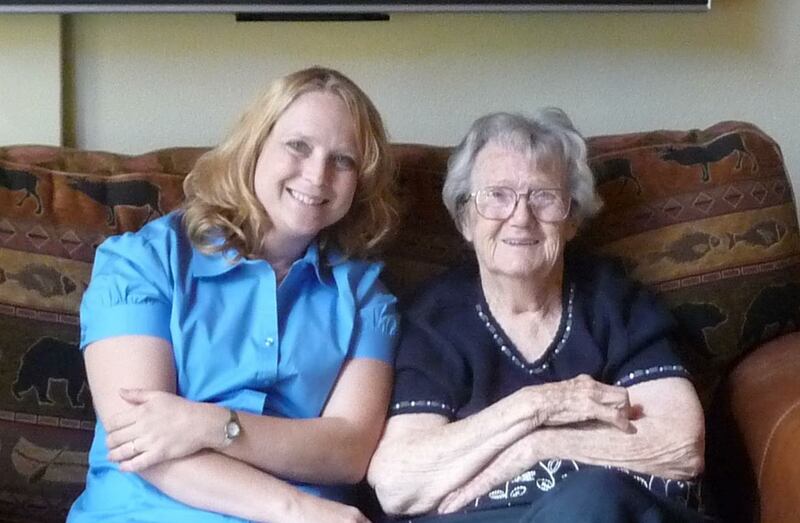 When her oldest grandchild – me! – was born, she moved to Las Vegas to be close to us. My dad was stationed in the Air Force at the time. I was a completely spoiled grand-baby and was always telling her I needed a trip to K-Mart to fix some boo-boo — real or imagined! My family ended up moving to Washington state and Nana stayed in Las Vegas. We visited there often while I was growing up. Eventually, she moved to Oregon and later moved into my parent’s house. That was the best because I was able to see her more frequently. She played UNO games with us — and usually won even when she appeared to have no idea what was happening! We took her with us on trips with all the cousins (her great-grandchildren) for things like Pioneer Farms where she watched as the kids milked cows and cut wood with an old fashioned saw. She was 92 when she passed away. Days before, I was able to leave school and drive 3 and a half hours to spend time with her in the hospital and hold her hand. I miss her and think of her often. I was so blessed to have such a sweet Nana! 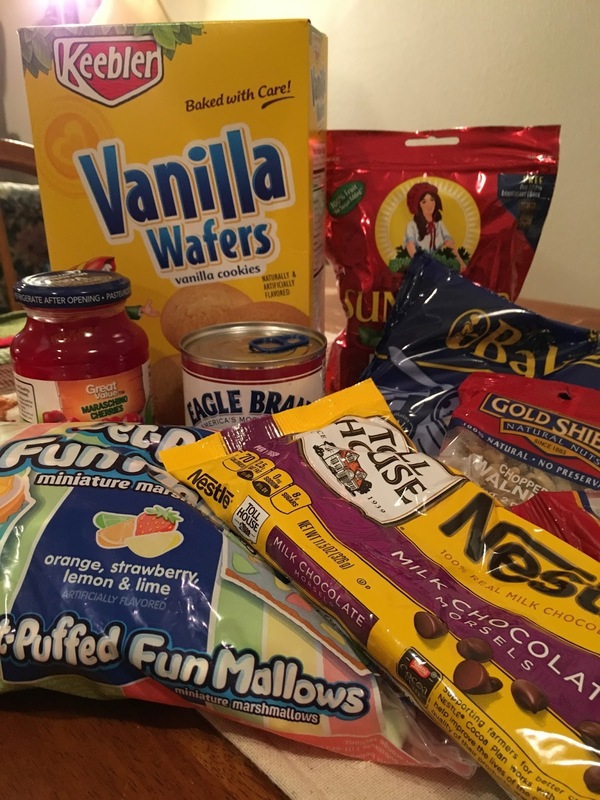 The main part of this recipe is a “dough” made of crushed vanilla wafers and sweetened condensed milk. You only need a small amount of the other ingredients. The recipe is at the end of this post. First, you crush a box of vanilla wafer cookies. 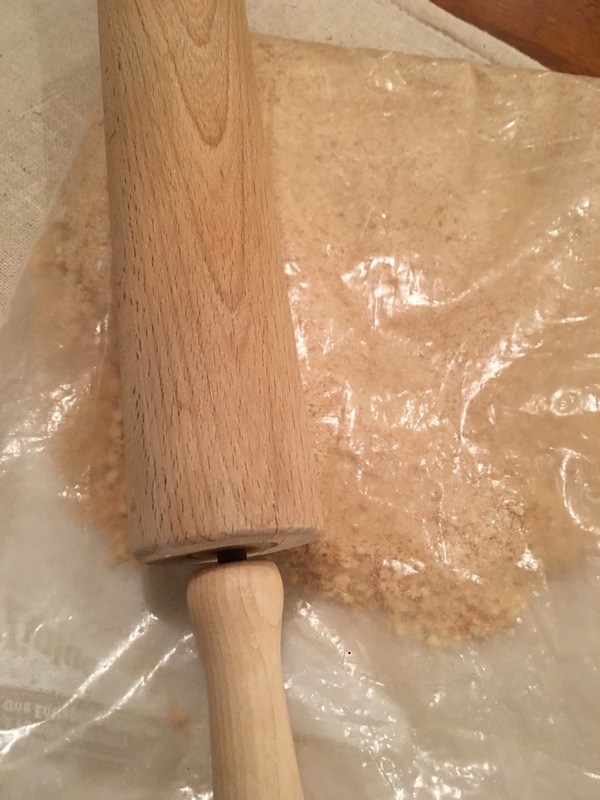 I use a rolling pin, but a food processor makes this even easier. Next, you mix the crushed cookies with a can of sweetened condensed milk. 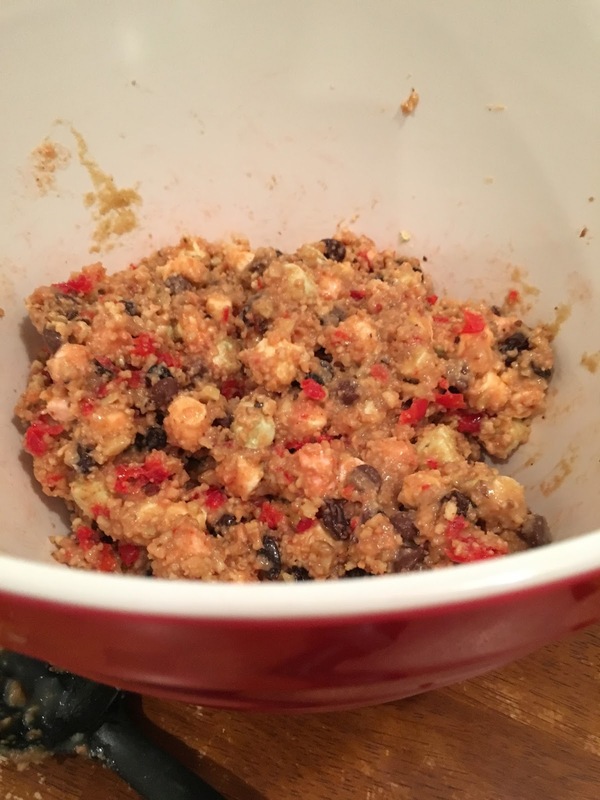 Then, add some mini marshmallows (colorful ones make it look nice), raisins, chocolate chips, chopped maraschino cherries and chopped nuts. 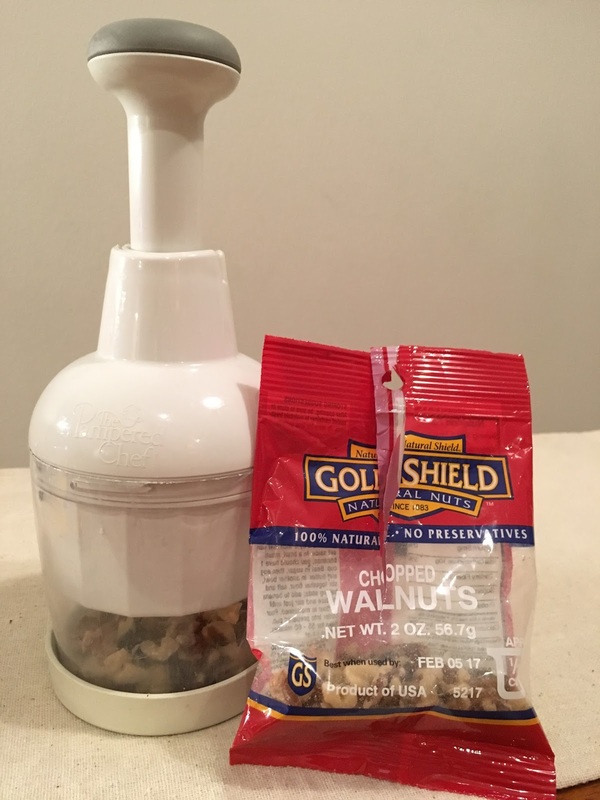 I use walnuts and chop them a little finer than the chopped walnuts that you can purchase at the store. I love this little chopper by Pampered Chef. It’s perfect for little jobs like this. It looks a little messy at this point. It should be a moist mixture that can easily be molded into logs. 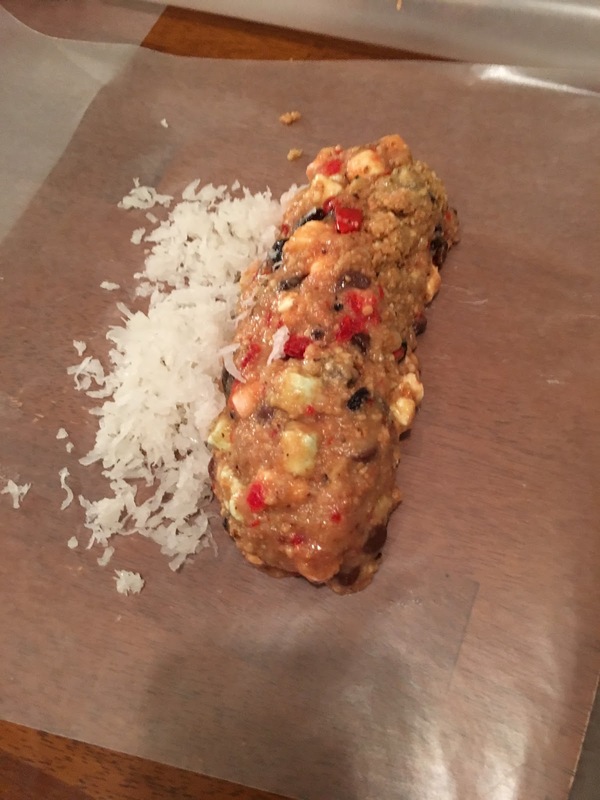 Separate the mixture into 3 piles and roll each one into a log. Then roll each log into coconut. *Hint: roll them on a counter top or plate – not the waxed paper like I did. It’s too sticky so I had to discard this waxed paper and get another piece to wrap them. Wrap the log in waxed paper and refrigerate for several hours. These can also be placed in the freezer and then refrigerated to thaw a bit before slicing. Slice each log into individual cookies. Enjoy!! I hope that you enjoy this recipe! Check out the other bloggers for recipes that look absolutely delicious. Many bloggers have also included freebies. 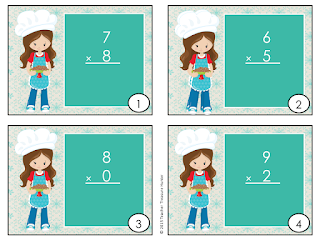 I’ve made a SCOOT multiplication freebie for this blog hop. Scoot games are great because the students move (scoot) from desk to desk so they get to move. If ever there is a time that students need to move – this is it! 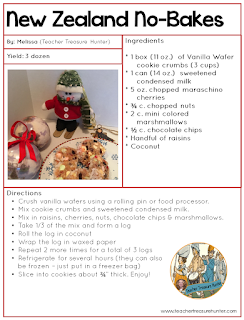 This freebie can help you (and your students) make it to winter break! Just click on the picture to go my TPT store and download the freebie. I’d love for you to leave feedback and follow my store! So, make some great cookies, a mug of apple cider (my latest favorite beverage — try the Keurig pods!) and find a quiet place by the tree to just chill this week-end. You deserve it! I love family stories to go along with these recipes. Thank you so much, Melissa.